CONNECTED. Research and education networks managed and operated in Indiana reach 91 percent of countries around the world, furthering discoveries in a range of fields including astronomy, bioinformatics, climate science and medicine. BLOOMINGTON, Ind. -- In 1998, Indiana University launched an ambitious initiative to make Indiana a world leader in the management and operation of high-speed international research networks. Twenty years later IU has achieved this vision, and during that time has attracted nearly $50 million in federal government funding, as well as funding from other U.S. and international sources to support its activities. Research and education networks managed and operated in Indiana reach 91 percent of countries around the world, furthering important discoveries in a range of fields including astronomy, bioinformatics, climate science and medicine. IU is hosting a reception to celebrate the 20th anniversary of this initiative from 4:30 to 6 p.m. today in the Cyberinfrastructure Building, 2709 E. 10th St. in Bloomington. IU President Michael A. McRobbie and other IU leaders will give remarks. The media is welcome to attend. International Networks at IU was started by McRobbie, then IU vice president for information technology. McRobbie was the principal investigator for the initial TransPAC award, the program's first major success, which was funded by a $12 million award from the National Science Foundation in 1998. This pioneering project, now in its fourth funding cycle with awards totaling nearly $29 million, connects at extremely high speeds researchers in the U.S. with their counterparts in Asia, allowing them to share massive data sets quickly and easily. By enabling better access to the world's distributed data sets, the International Networks team helps researchers investigate problems in ways that couldn't have even been imagined 20 years ago. Program leaders note that McRobbie's vision of the transformative impact that global networks like TransPAC -- and local networks like Indiana's I-Light -- would have was ambitious and forward-thinking at the dawn of the Internet age. "This important 20-year anniversary for Indiana University's widely respected International Networks program that we celebrate today finds IU firmly established as a world leader in high-performance computer networking," McRobbie said. "The numerous high-speed international networks it manages and operates support collaboration and research among universities and institutions all over the world -- collaboration and research that is critical to solving 21st-century problems. "Over the last 20 years, IU's leadership in the operation and management of high-speed national and global research and education networks has grown extensively due to the continued success of the International Networks program through three generations of leaders." In 2000, McRobbie appointed Jim Williams as the director of International Networks at IU. Williams continued the remarkable success of the program, adding connections to Europe as part of the America Connects to Europe project. In 2005, he succeeded McRobbie as the principal investigator of the TransPAC project. Today, International Networks at IU is led by Jennifer Schopf. In addition to TransPAC, Schopf leads two other programs that advance scientific diplomacy through support from the NSF's International Research Network Connections program. The Networks for European, American and African Research, or NEAAR, is a four-year, $3.25 million project that provides services and bandwidth connecting researchers in the U.S. with their counterparts in Europe and Africa. In 2015, International Networks at IU and its partners began a $5.5 million, five-year grant to lead NetSage, a network measurement, analysis and visualization project addressing challenges in understanding the use of today's international research and education networks. Since taking the helm in 2013, Schopf has been responsible for more than $17 million in NSF funding. 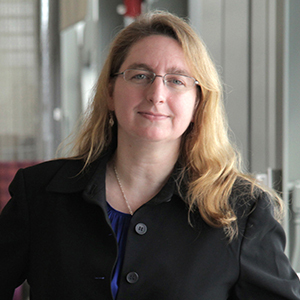 She is the first and only woman to be principal investigator on an International Research Networks Connections award, and she leads three current awards in the program. "International Networks started by addressing the engineering challenges of simply putting in place circuits to get connectivity between countries, but I've had the privilege of overseeing the project during a time when the technology aspects have become more straightforward and we've been able to concentrate more on enabling collaborative research and science," Schopf said. "We don't just build the roads that enable global collaborative science now; we support the drivers to get where they're going faster and more effectively, with fewer problems. By enabling better access to the world's distributed data sets, the International Networks team helps researchers investigate problems in ways that couldn't have even been imagined 20 years ago." Looking ahead, International Networks is poised to continue its global leadership. Earlier this year, the NSF awarded Schopf's team and the Energy Sciences Network a three-year, $3.5 million grant to help scientists more efficiently work with massive datasetsthat have become essential to modern scientific discovery. The funding has created EPOC: Engagement and Performance Operations Center, which enables researchers to get the assistance they need to routinely, reliably and robustly transfer data through a holistic approach to understanding the full pipeline of data movement -- and better supporting collaborative science. 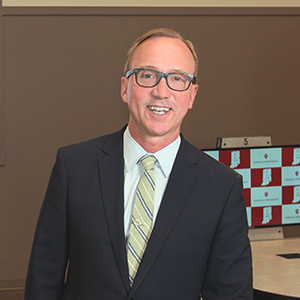 "IU remains unique in the nation in our breadth of advanced network operations and leadership to enable the nation's and the state's researchers," said Brad Wheeler, IU vice president for information technology and chief information officer. "This work is synergistic with IU's GlobalNOC operations and the OmniSOCsecurity operations that create and sustain over 130 jobs in Indiana." Next articleUITS Monitor: Too many tech questions? Feel trapped in the Upside Down? UITS can help!